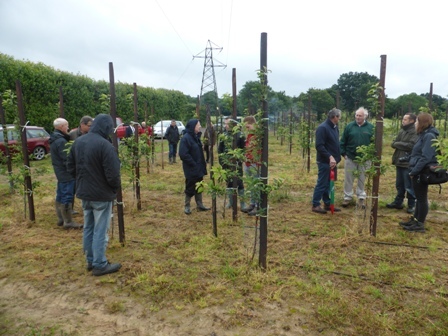 Over the space of 28 years the British Independent Fruit Growers Association (BIFGA) has become an institution. 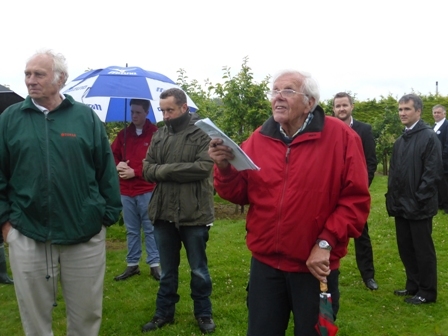 The brainchild of John Breach who in those early days, championed the small independent grower, ensuring a voice in the highly competitive world of commercial apple & pear growing as the transition to Supermarket supply became the primary outlet and wholesale markets became less profitable for our UK growers. Today 80% of English Apples & Pears are sold through Supermarkets. Chairman John Breach opened the AGM by thanking Hadlow College - Faculty of Landscape, Horticulture and Design at Court Lane for hosting the event and Utilitas Solutions Ltd who were the main sponsors for the event. Following the formalities of the AGM John Breach introduced Eric Tiv from Utilitas, a company that specialises in helping clients to minimise essential spend and reduce the cost of doing business. Eric said; "We have an impressive track-record of delivering significant savings through smarter and more effective procurement". 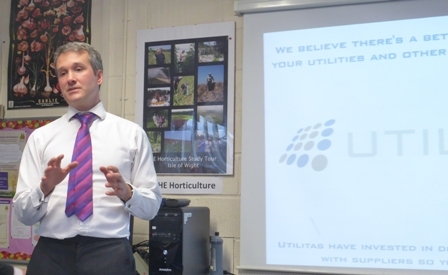 Since 2004 Kent based Utilitas Solutions have been helping producers based in the county and beyond manage their expenditure on energy and other key areas through smarter and more effective procurement and by maintaining close and regular contact with suppliers. 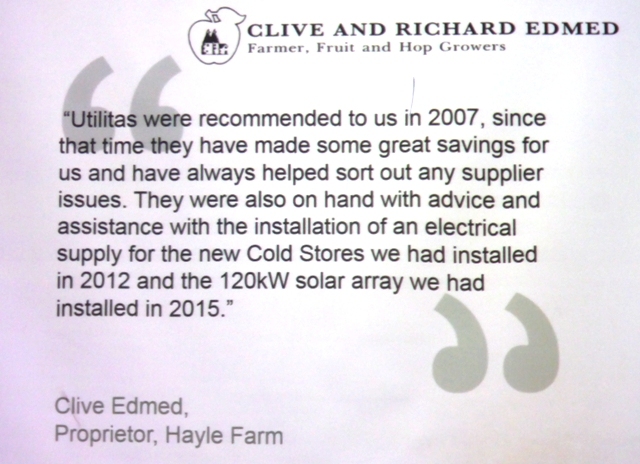 Eric said, like most businesses, we started small "We wanted to offer something more personal, more impartial". "We wanted to become the people you came to, who understood the dynamics of the energy market and other supplier services, who could help you find the best possible prices and enable you to put your profits back into your business, where they belong". 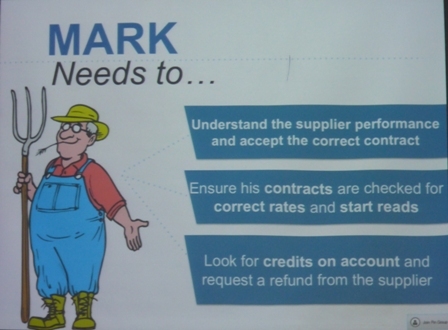 Utilitas Solutions help all types of business and over the last few years farmers have seen the benefit of employing their services. They have the expertise to interrogate the tariffs charged by energy and other utility companies. Eric said; "When you're running a business, it's only natural to be focused on your customers, staff, operations and sales. So it's no surprise that day-to-day tasks such as paying energy bills get taken for granted. 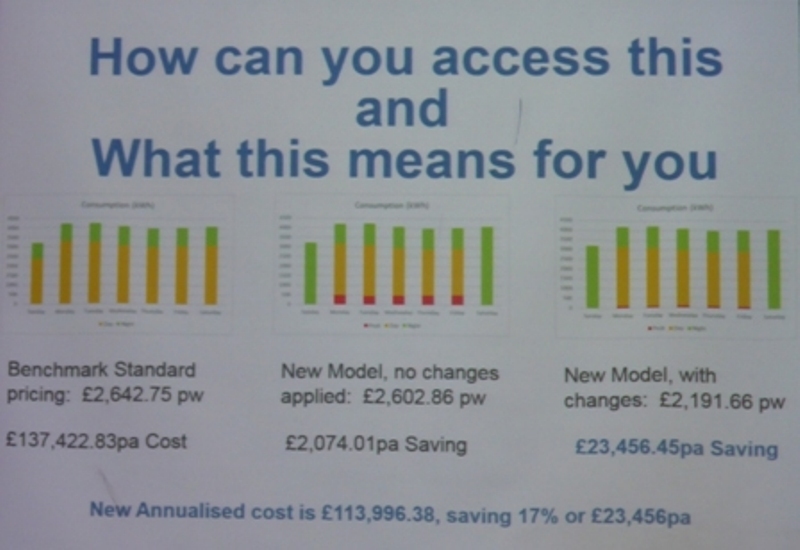 Yet energy, telecoms, waste, water and office supplies can make up a significant proportion of your total cost base. 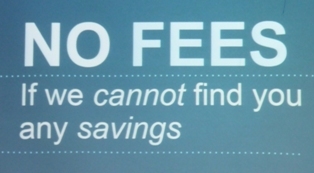 And because it's rare for any business to closely monitor pricing and actively manage these relationships, there's usually huge scope to find savings in these areas". 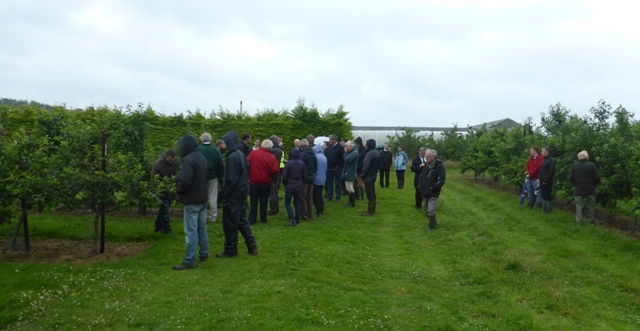 Following the AGM and the Utilitas Solutions presentation, BIFGA members visited The BIFGA 21 orchard; this orchard and a duplicate at Brogdale Farm were planted as trial orchards to mark the celebration of BIFGA's 21st anniversary, with many new varieties allowing 'ongoing' assessment by BIFGA members, while the Hadlow trial orchard 'doubles up' as a 'learning and training' orchard for Hadlow Students. 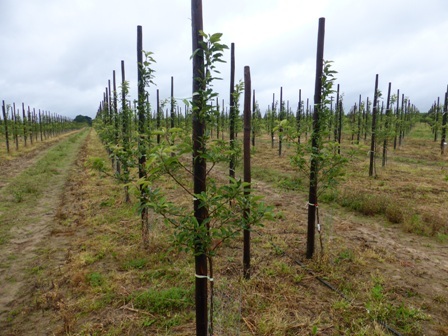 The next stop on the programme, a visit to Hadlow Place Farm and this new orchard of Royal Beaut Gala. Click on Royal Beaut to learn more about this Gala clone. 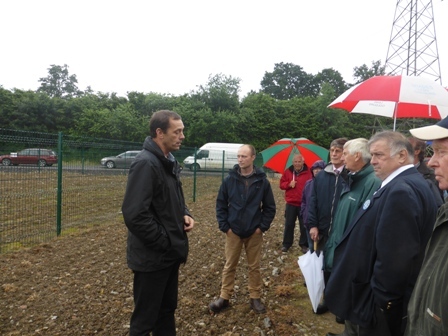 The last leg of our evening took us down the road to a new venture for Hadlow Place Farm; the site has been developed as a 60 acre Solar Farm. 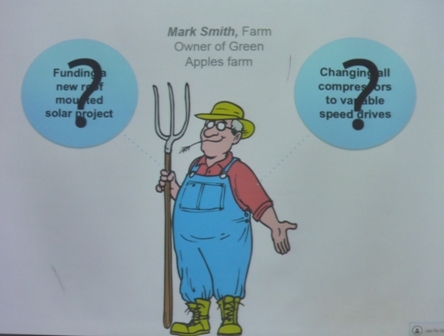 The land was leased to the Solar Farming Company by Hadlow Place and the investment in the site construction (rumoured to be circa £10,000,000) carried out by the Solar Company. 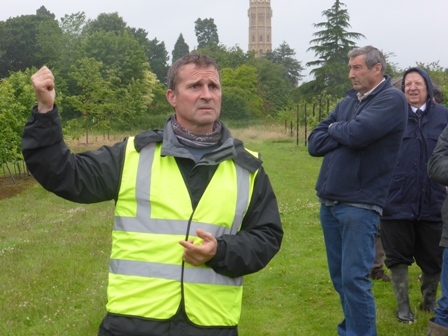 Hadlow Place Farm is contracted to provide maintenance of the environmental aspects of the project; e.g. 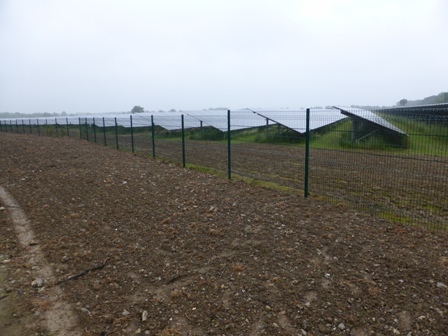 grass beneath the panels and surrounding areas within the security fencing. The evening came to a conclusion with an excellent Kent Ploughman's Supper at Hadlow Place Farm.